​Narrentanz is a dance piece inspired by Madness and Civilization, by Michel Foucault, with its vivid images of mad people sent to sea in a ship of fools,institutions created to conceal the mad and later display them in spectacle,the fool regarded as the guardian of truth, madness as a temptation similar to the forbidden fruit, and as an outlet to our animal selves. The piece received movement input from DTTP's guests Benedetta Capanna and Cameron McKinney, and was created largely with movement material from the dancers in NY, Joanna Stone, Michelle Applebaum and Miu Soda, the students of the College of Staten Island, Crystal Zabas, Andrea Gonzalez and Joanna Mengani, and Staten Island Visual Artist and dance enthusiast, Helen Levin. 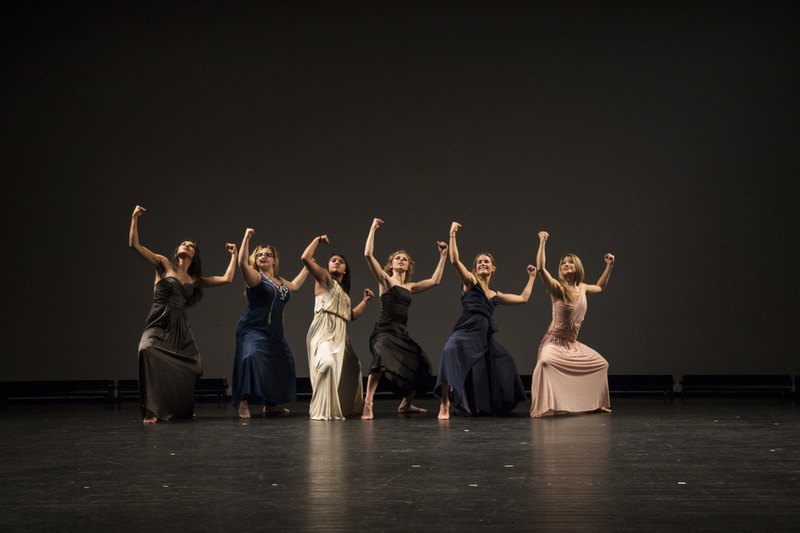 This piece has been created thanks to the support of the CUNY Dance Initiative, which provided funds and rehearsal space at the College of Staten Island for the years of 2014 and 2015.